Cooper Union faculty are the intellectual pulse of the institution. They come to teach while continuing their own personal research and work at various points in their academic careers. Some visit and lecture for a single semester while others teach succeeding generations of students. Their shared dedication to pedagogy and their respective discipline helps each class of students develop and elaborate their talents, interests, and work. (People A-Z)Complete alphabetical directory of all Cooper Union faculty and staff. School of ArchitectureThe Irwin S. Chanin School of Architecture offers a five-year undergraduate professional degree and a one year graduate post-professional degree taught by leading scholars and professionals in a wide range of fields, with a strong emphasis on the integration of social, ecological, technological, and material conditions within a collaborative design curriculum, supported by a strong liberal arts program and courses in the schools of Art and Engineering. The School of ArtThe School of Art is headed by Acting Dean Mike Essl. The School of Art faculty is comprised of internationally exhibited artists and leading art critics and scholars, all working to educate artists in the broadest sense: both as creative practitioners and enlightened citizens prepared to question and transform society. The School of EngineeringThe Albert Nerken School of Engineering is headed by Acting Dean Richard Stock. 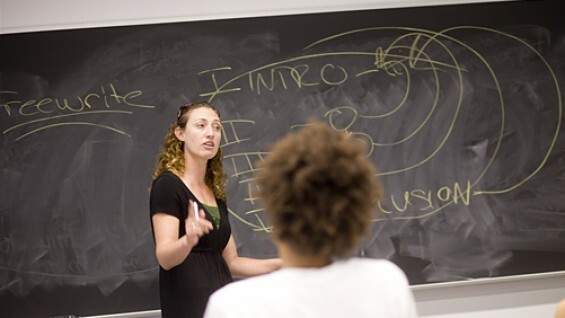 The faculty are committed teachers with both academic and industry backgrounds. Many carry out advanced research for government agencies and industry through the C.V. Starr Research Foundation. & Social SciencesThe Faculty of Humanities and Social Sciences is headed by cultural scholar Dean William Germano. Providing all Cooper Union students with a firm orientation to the humanities and liberal arts, the faculty comprise leading scholars across academic disciplines.